So, youre going on a camping trip. What do you bring? Backpack. Sleeping bag. Tent. Flashlight. 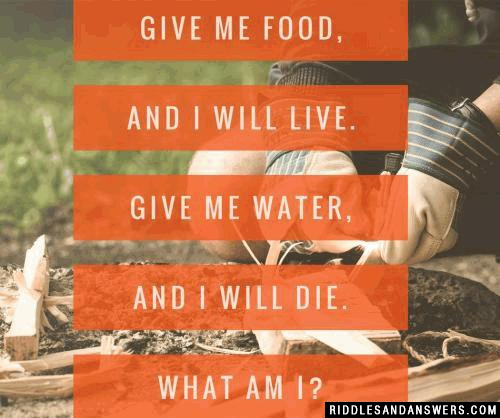 What about some camping riddles? Our camping riddles collection is the perfect addition to any camping trip! While most people love to play different games or tell spooky stories around the campfire at night, what could possibly be more fun than solving camping riddles and answers while camping? Our collection of riddles includes everything from What Am I? riddles, to animal riddles and nature riddles. Nothing says FUN! like a little marshmallow roasting and riddle solving around the campfire. Oh, and dont worry. 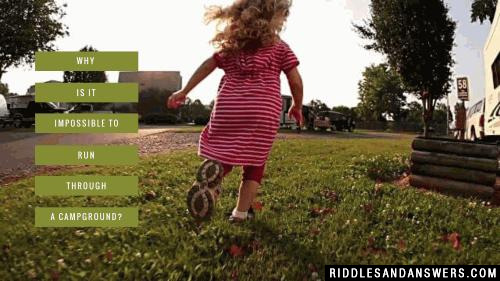 Even if you arent a camper and just so happen to be looking for camping riddles, weve got riddles for you, too! Check them out below! What do peanut butter and jelly do around the campfire? You stick your poles inside me. You tie me down to get me up. I get wet before you do. What am I? What is small, green and goes camping? 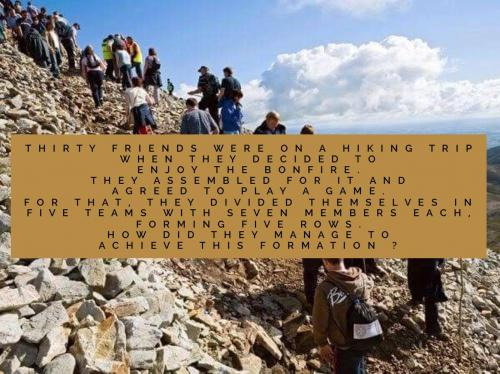 Thirty friends were on a hiking trip when they decided to enjoy the bonfire. They assembled for it and agreed to play a game. For that, they divided themselves in five teams with seven members each, forming five rows. How did they manage to achieve this formation ? You can see that they decided to form a pentagonal formation. Why is it impossible to run through a campground? You can only ran, because it's past tents. Why did the teepees have to go to the doctor? They were too tense (two tents). How did you find the weather at camp? If you are on a hike and find a fork in the road, what do you do? 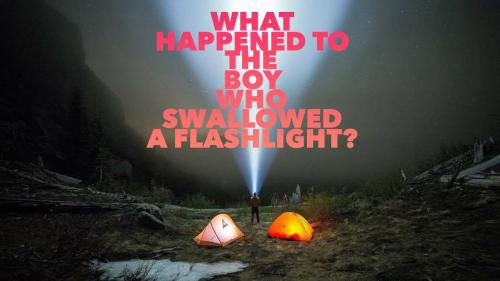 What happened to the boy who swallowed a flashlight? Can you come up with a cool, funny or clever Camping Riddles of your own? Post it below (without the answer) to see if you can stump our users.